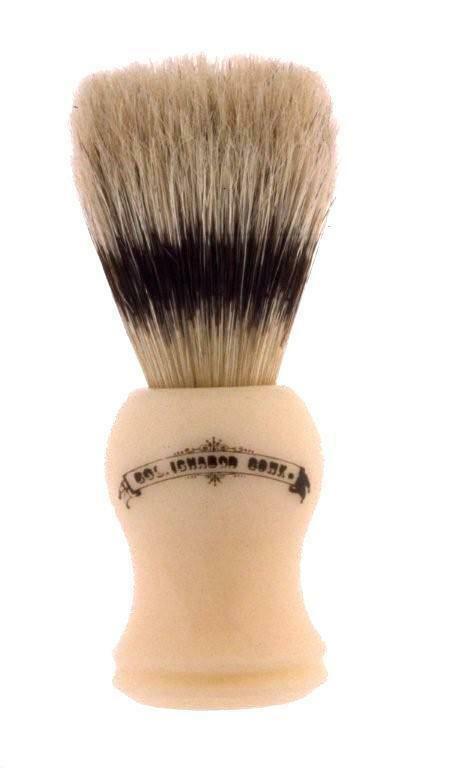 Boar Bristle and Badger Hair Blend Shave Brush with cream handle. Brush is 4" high with a 21 mm knot size. Made in England.